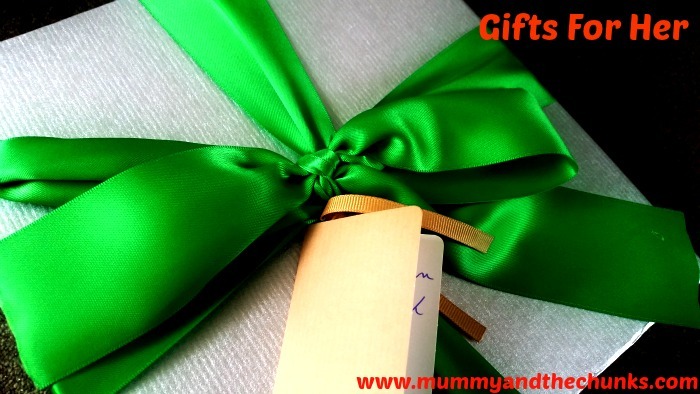 If you are still looking for the perfect gift for any of the women in your life, whether it be your Wife, Girlfriend, Mum, Sister, Daughter, I have lots of great suggestions here for you. It can be so difficult to find the perfect gift so my suggestions include a range of gifts for different tastes. I don't wear jewellery often unless I am going somewhere nice but when I do, I love to wear timeless pieces with a bit of a sparkle. Jules B have a really good range of pretty and unusual pieces at great prices making them perfect gifts. 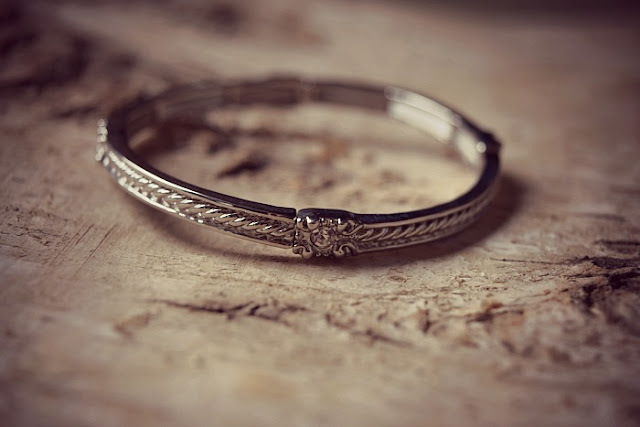 I actually find jewellery is one of the easiest items to buy for friends too. I love this Nouv-Elle silver diamante bracelet (£29.99) it stretches over your wrist and sits beautifully. It has diamante stones on the links and has a delicate rope detail to the body. It has a silver tone making it look classic and glamorous. They also have lots of other great designer jewellery at great prices including Vivienne Westwood, Alexander McQueen and Marc Jacobs so definitely worth taking a look to find the perfect gift for the women in your life this Christmas. Lloyds Pharmacy actually have a great range of gifts for women. This lovely Baylis & Harding gift set contains a pair of supersoft white slippers which just scream luxury, Soothing foot lotion and foot soak crystals. As sad as it sounds I always look forward to a nice new pair of slippers at Christmas. It is so important to look after your feet and it always feels nice to pamper yourself. The limited edition Baylis & Harding slipper set is just £9.99 at Lloyds Pharmacy. Since having kids, a nice soak in the bath has turned into a jump in the shower, smooth legs and styled hair which were a regular thing are now a luxury. Last year I had enough and treated myself to a cheap epilator in the January sales. Why did I not do this sooner?! It is possible to have smooth legs all year round (not just in the summer when you can't hide them). It is great to be able to just epilate your legs every few weeks. I expected it to be excruciatingly painful but it is like tweezing your eyebrows, those first few hairs are a little eye-watering but then after a moment or two it is totally bearable. The Braun Silk Epil 9 is a wet & dry epilator with a wide head to ensure it removes more hair in one stroke. The micro grip tweezer technology removes hair 4 x shorter than wax. Giving smooth skin for up to 4 weeks. It is great that it can be used in the bath or shower. I find it much easier that way as your pores are open and it is even less painful than using it when dry. 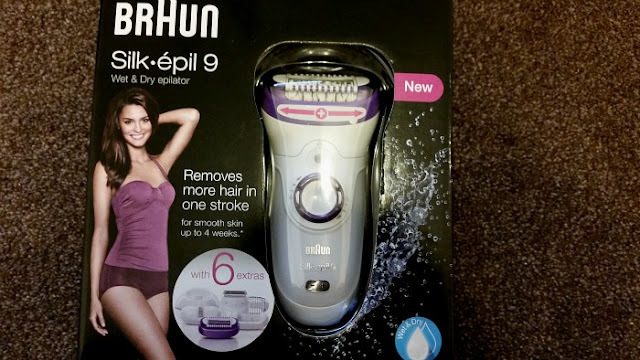 I have to say the Braun Silk Epil is so gentle and easy to use and you can tell that it is a great quality product. It is so worth paying extra for a decent epilator. The Braun Silk Epil 9 has a RRP of £149.99 and is available from all major retailers. Another fab item from Braun. I have to admit I was so shocked at this item before receiving it and did think for that price surely it should cut and blow dry my hair at the same time. It did take me a few uses to realise that wow it really does make a difference to my hair. 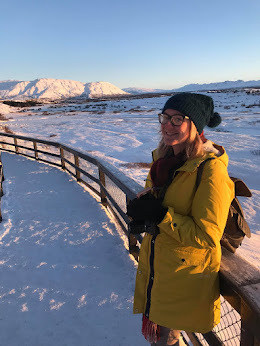 My hair is quite damaged from years of home dyeing and bleaching and with the help from a friend I am slowly trying to nurse it back to health without losing the length. I find I get really bad static fly away hair as it is both oily in some parts and dry in others so it is hard to treat both at the same time. The Braun Satin Hair 7 with Iontec instantly restores shine and tames frizz and flying hair. It releases ions from the centre of the brush directly to the hair when switched on. 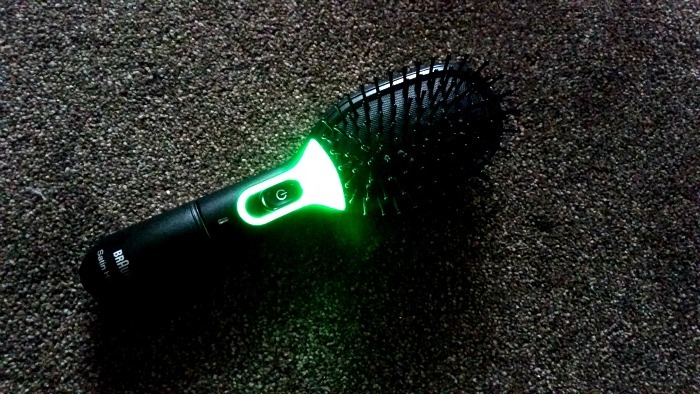 Now this brush actually does exactly what it claims to do. I get such bad static hair and whenever it looks really bad I switch it on and give my hair a quick brush and it instantly looks smooth and shiny! The RRP is £21.99 and is available from Amazon. With adult colouring books being hugely popular at the moment, what better gift than some decent colouring pencils. There are so many different types of colouring books from tattoo designs to Harry Potter, so maybe choose a colouring book according to the interests of the recipient and treat her to some BIC Conté Watercolour Pencils (RRP £5.99) to give a fun and relaxing gift this Christmas. The BIC Exact Fun Ball Pens (RRP £2.49) are a great addition too. Coming in three fun colours, they would be great with a mini colouring book or a new diary as a Secret Santa gift. In fact they would also go great with to do lists, notebooks or calendars. 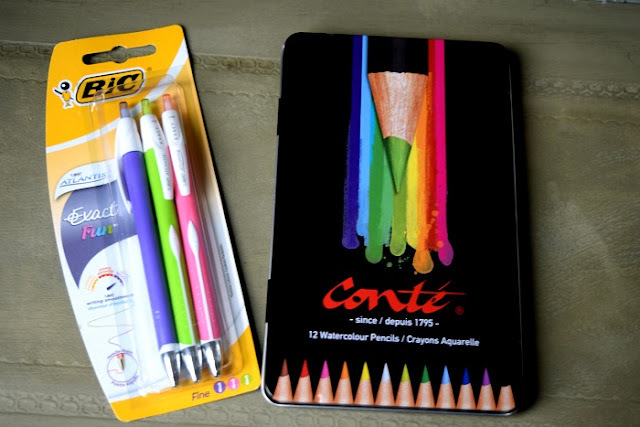 Any woman that loves organisation and stationery would love these great pens. Both BIC products are available at most good stationery stores and supermarkets! One of my biggest guilty pleasures is binge watching TV series' on my iPad. I currently have Amazon Instant Video and have been watching all the different shows that I had wanted to watch but never got around to. In the last few months I have finally discovered Nashville, Game of Thrones, Heroes and my current show is Vikings! I love to relax either in the bath or in bed and watch my Amazon Instant Video app on my iPad but sometimes if I am doing other things like 'working' or painting my nails, it gets awkward trying to get the perfect upright position to be able to watch and enjoy. I spotted this eye-catching coz-e-reader tablet stand at GettingPersonal.co.uk. The pattern is lovely and feminine and it is more like a comfy cushion than a stand making it perfect to pop on your lap or bedside table to catch your latest shows and movies. 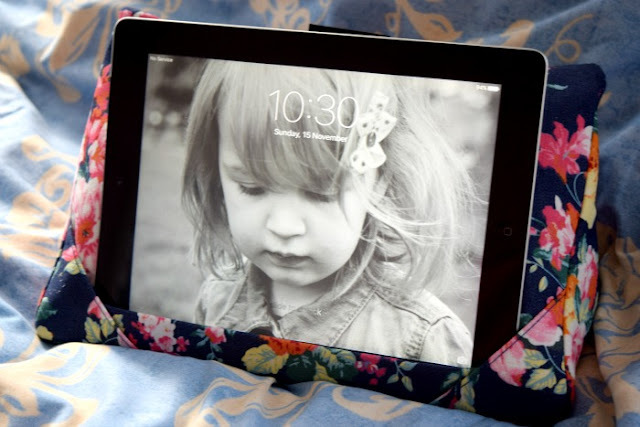 It would make an excellent gift for any tablet owner. It costs £19.99 which is a great price! Anyone that knows me will know I am a big superhero and comic book fan and I love Wonder Woman! 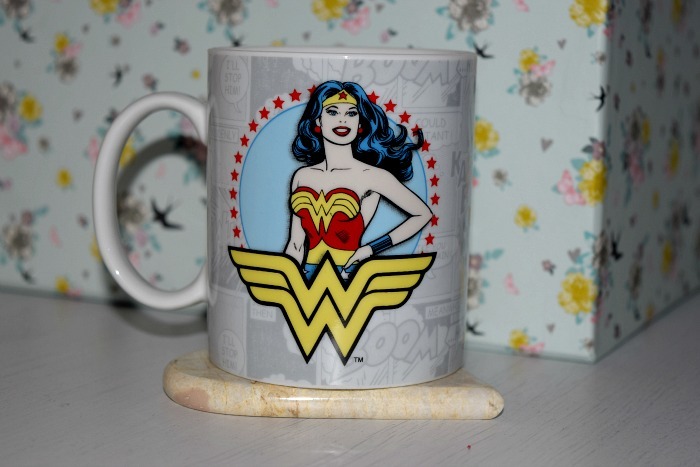 This cute Wonder Woman mug designed by Paladone would make the perfect gift for any woman to make her feel like she can conquer anything after her morning cup of coffee! It is available at iwantoneofthose.com for £6.99. I always find a nice diary or notebook is an absolute win for any woman who loves organisation and writing lists for everything! What I love even more than a notebook is a special pretty notebook. 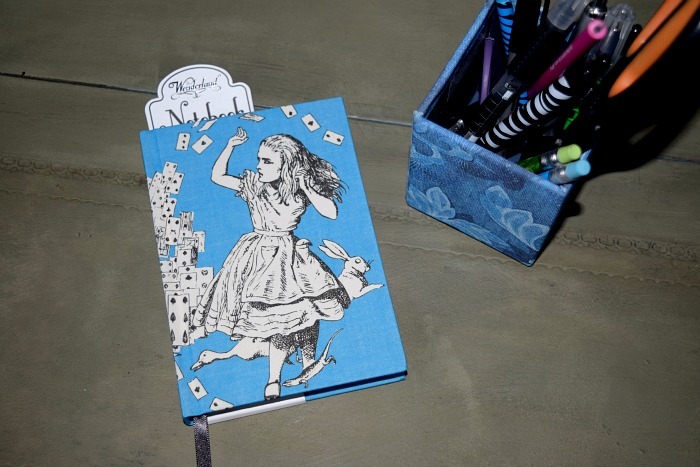 This cotton canvas notebook also from Paladone features an original illustration of Alice with a set of playing cards. It is quite thick with 300 pages of great quality paper with lined and illustrated pages containing images of flying playing cards across the pages. It is a really lovely notebook with a lot of attention to detail. Great for any fans of the classic novel. It is available to buy from The Gift & Gadget Store for £4.49 which is an absolute bargain! I am a huge book worm and I love so many different genres depending on what mood I am in. I am also a big kid when it comes to Christmas and so love a good festive read to get me in the Christmas Spirit. I have to say I really enjoyed reading this book myself. 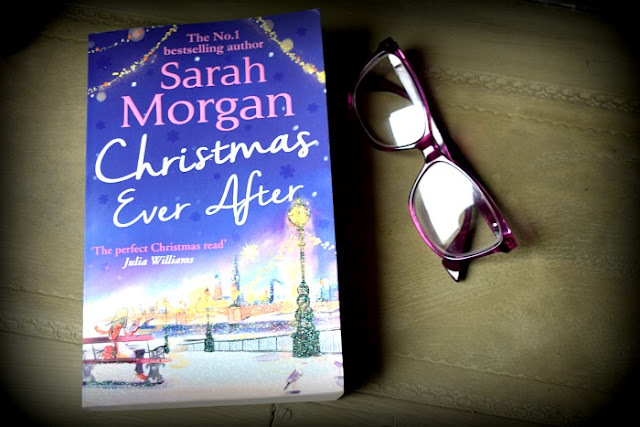 It was a book that I just loved to sit and read in the evening under the light of my bedroom lamp, with a nice Christmassy Yankee Candle burning away. I found myself getting lost for hours promising myself to save the rest once I get to the next chapter, before persuading myself to read on until the next one. Skylar Tempest is a passionate artist and has just landed her first private viewing in a gallery in London. Her 'boyfriend' who happens to also be the Senator proposes but then a moment of violence changes everything. Skylar is forced to spend time with Alec Hunter, a famous TV historian who she has never quite got on with despite having close mutual friends. They have a very intense relationship and sparks start to fly when they return to their homes on Puffin Island. Will it end up with tears or romance? I don't want to give too much away but I really enjoyed the book and think it would make the perfect gift for a friend this Christmas perhaps teamed with some nice indulgent chocolate!